With the decks cleared for AICC vice-president Rahul Gandhi’s elevation to the post of party president, the issue of dynastic politics has come to the fore again. 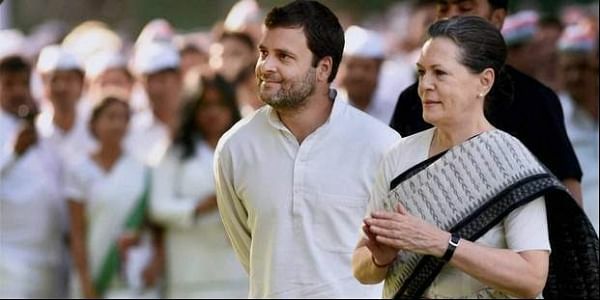 NEW DELHI: With the decks cleared for AICC vice-president Rahul Gandhi’s elevation to the post of party president, the issue of dynastic politics has come to the fore again. In India, dynastic politics extends across party lines. In the BJP, it can be seen in the case of the party’s chief ministerial candidate in Himachal Pradesh, Prem Kumar Dhumal, and his son Anurag Thakur, BJP MP from Hamirpur. The father-son duo of Mulayam and Akhilesh Yadav run the affairs of the Samajwadi Party in Uttar Pradesh. In Punjab, the Shiromani Akali Dal is run by the Badals—Parkash Singh and his son Sukhbir Singh. Similar is the case down south with DMK leader M Karunanidhi and his son Stalin in Tamil Nadu. However, experts say that Rahul is a natural choice for the top post in the Congress due to his surname, which acts as a cohesive force for the party. With a Gandhi at the helm, they say, the grand old party of India will not disintegrate. “In an organisation like the Congress, the presence of a Gandhi as the chief eliminates the possibility of one faction gaining control of the party. The move will help keep everybody together, depending on how he handles the situation. He is the cohesive factor for the Congress,” said Nilanjan Mukhopadhyay, author of Narendra Modi: The Man, The Times. Jai Mrug, director of Voter Mood Research believes the Congress was forced to stick to the Gandhis’ leadership as it had not created a central leader for years. Previous experiments in creating a central leader outside the Gandhi family had failed, he said. “For instance, under P V Narasimha Rao, there was no stability in the party. A Gandhi acts as glue for the Congress,” he said. Sudha Pai, professor at the Centre for Political Studies at JNU, is of the opinion that the Congress has no option but to make Rahul president. “The move to elevate Rahul to the party’s top post is meant to hold the party together. Moreover, who do you choose and how do you choose?” she asked.